Want a fueling, nutritious breakfast that’s ready in a flash? I can’t wait to hear what you think of this cottage cheese parfait recipe, with a base of whole grains, cottage cheese, and clementines. This blog post was sponsored by the folks at belVita. All opinions, as always, are my own. I don’t know about you, but my weekdays are crazy busy! Ever since I started my business a couple of years ago, life has been a whirlwind. I do my best to squeeze in everything that’s important: workouts, eating well, doctor’s appointments, meetings with colleagues, networking events, coffee dates with friends, dates with my boyfriend—and, of course, work! Accomplishing all of this means that many days, I’m running out the door in the morning. As a registered dietitian nutritionist, I would never sacrifice a nutritious breakfast to power up my morning, so I’ve figured out some shortcuts. One of my favorite breakfast staples to lean on: belVita Breakfast Biscuits, offering 3 to 4 grams of fiber per pack of biscuits, along with 14 to 22 grams of beneficial whole grains that provide steady energy all morning long. They’re also a good source of B vitamins and iron. This is great news to me, as I’ve been anemic occasionally during my adult life and am always checking that my iron intake is adequate. To make a balanced breakfast with belVita, pair a pack of biscuits with a serving each of fruit and low-fat dairy. The fruit provides hydration, additional fiber, vitamins, and minerals—and the dairy offers protein, plus bone-helping calcium. Of course, you can literally grab these three items (I often toss a banana and a single-serve container of Greek yogurt or cottage cheese into my bag, along with a pack of belVita breakfast biscuits) and head on your way. 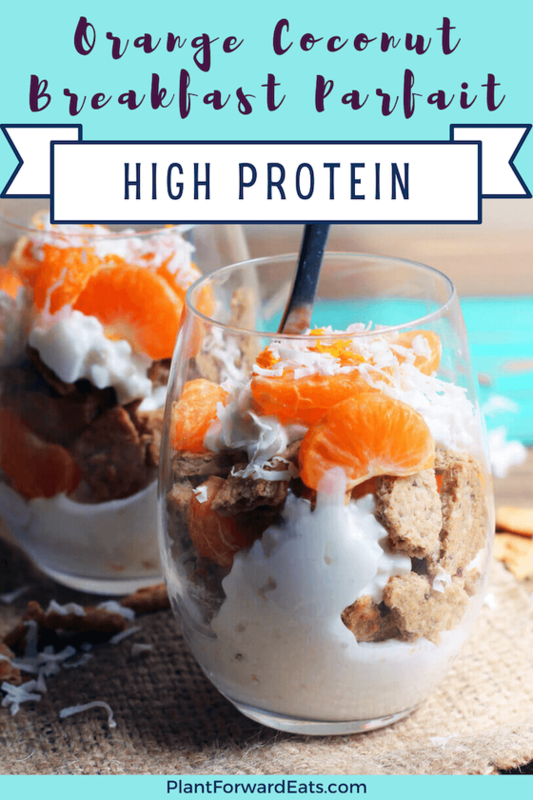 But when I have a few extra minutes in the morning—I’m so not game for time-consuming breakfasts on busy workdays—I make a parfait with these three components. 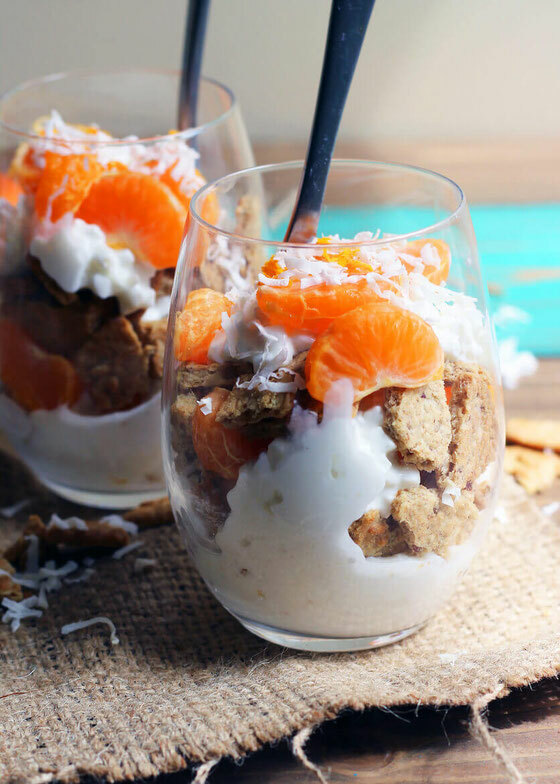 And speaking of which, I’m so excited to share my Orange Coconut Parfait with you! I chose to pair belVita Cranberry Orange Breakfast Biscuits with a few clementines, bursting with immunity-helping vitamin C, as well as high-protein cottage cheese. As a vegetarian, I’m always looking for high protein sources to add to my day. Try cottage cheese for dinner, too. This parfait is so easy to make and takes five minutes of your morning, tops! Give it a try and let me know what you think. By the way, this recipe makes two servings, so you can surprise your significant other or roommate with breakfast. Or simply cut the ingredients list in half if you’re eating for one. In a small bowl, combine cottage cheese with vanilla extract and 1 teaspoon coconut. Place belVita biscuits in a zip-top plastic bag, and crush with a heavy object such as a can or glass jar. 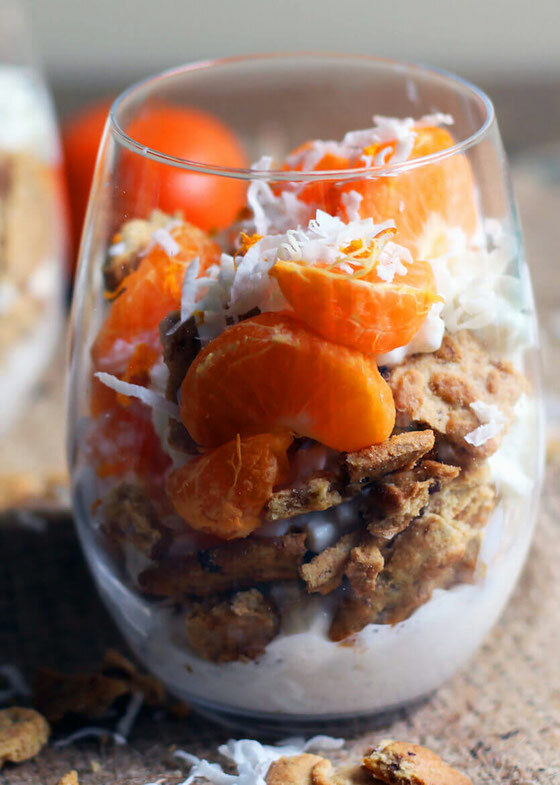 In a glass, layer cottage cheese mixture with clementine wedges and belVita pieces. 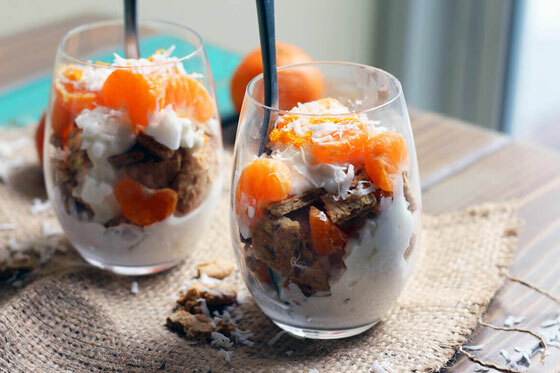 Top each parfait with 1 teaspoon each coconut and clementine zest. Freeze remaining orange zest in a zip-top freezer bag for a future use. Makes 2 servings. What are your thoughts on this topic? What are your favorite ways to energize your morning? What ideas do you have for pairing belVita with fruit and dairy?